I want to give Dahlia Lights massive amounts of credit for the concept of Dahlia Home. Here’s the bold idea: Why monitor your smart home through the devices themselves? Instead, why not use a live video feed of a room to determine what’s happening, and then create rules to control your devices based on what the camera sees? OK, it’s a little convoluted, so let me back up a bit. Dahlia Home is a smart home system that runs not on sensors and other gadgets, but instead fits entirely on a smartphone—a couple of iPhones, to be precise (Android phones are not supported at present.) 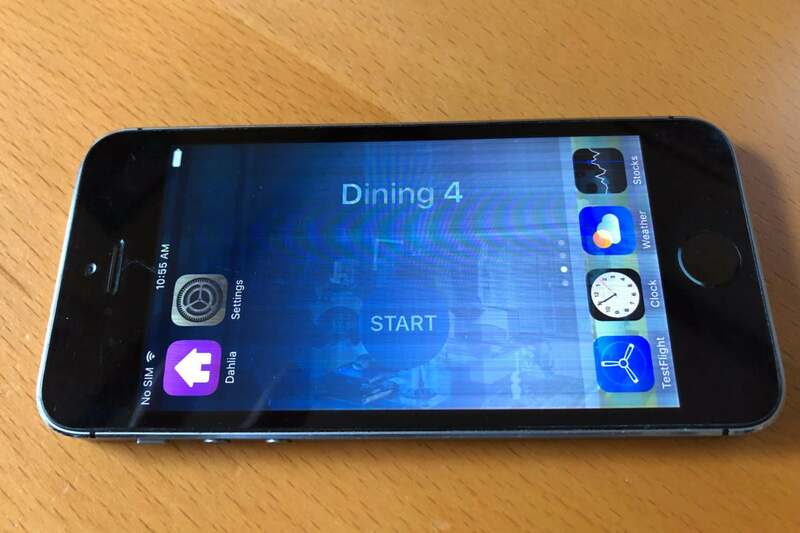 Your primary phone runs the Dahlia Home app (more on this in a bit). 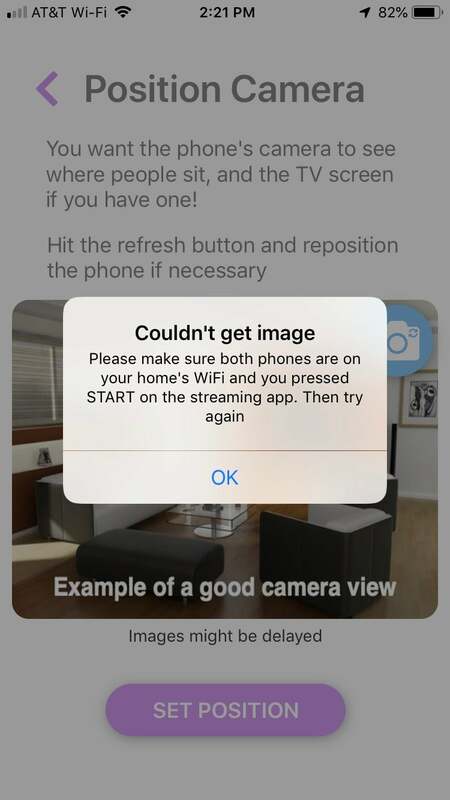 Your secondary phone (that old iPhone 5 that’s festering in a drawer) runs the Dahlia Home camera app. 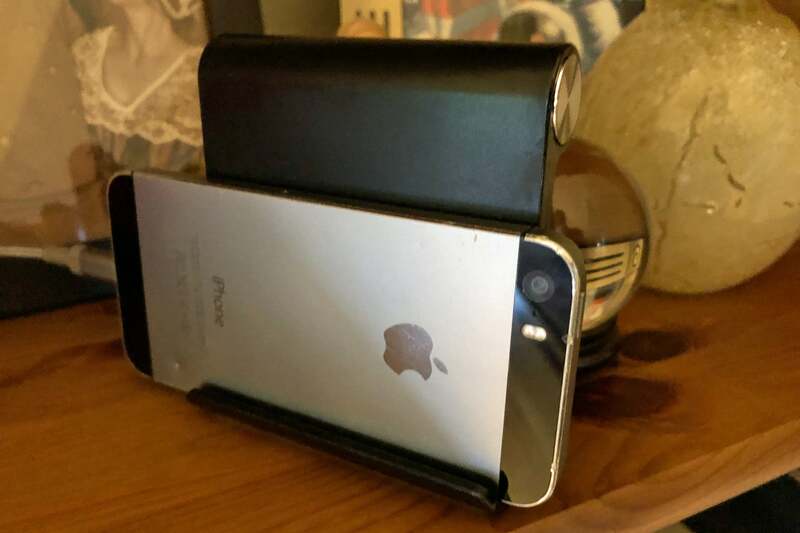 My jerry-rigged camera setup is not exactly a style-forward design. 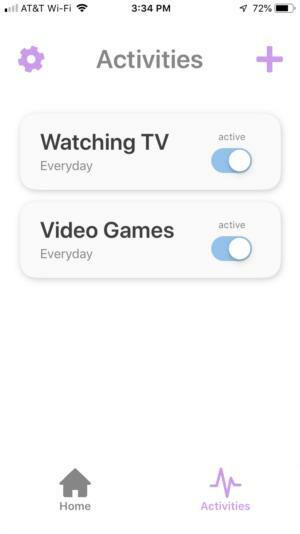 You prop the phone running the camera app in a corner of your room, so it can keep tabs on what happens within it, using cloud-based computer vision to determine how many people are in the room, if the TV is on, and so on. In the main Dahlia Home app, you use these conditions to code rules using IFTTT. For example: If two people are in the room and the TV is on, the rule can be set to dim the lights and lock the front door. Since this is done via IFTTT, not Dahlia’s own system, your options here are virtually limitless. Yeah, it’s still a little convoluted. And that’s probably the biggest issue any user is likely to have with Dahlia: It just doesn’t make a whole lot of sense. My setup experience was filled with errors like this. First, setting up Dahlia isn’t easy. I encountered numerous roadblocks getting the apps on the two phones to talk to each other, and while a tech-support call to Dahlia helped get things running, even the company confessed what I was seeing on my screen wasn’t supposed to be there. A little brute force got me through it, though that meant setting up the same room four different times. 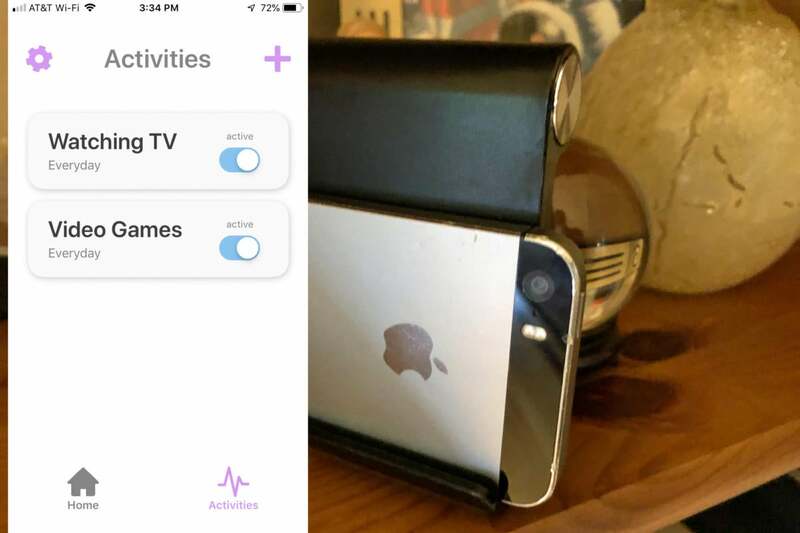 I eventually got things working, and as part of the configuration, you’re directed to place your secondary smartphone (the one you’re using as a camera) in an appropriate place in the room you want to monitor. This is tricky, because the camera needs to survey the whole room, including any television screens and places where occupants frequently sit. A cell phone is not exactly designed to sit high up on a shelf and look down on anything, and even with a stand (Dahlia sent something like this) positioning it so that it didn’t primarily focus on my ceiling was quite difficult. Even more problematic is that once you aim the phone’s camera, it can’t be moved—at all. Dahlia notes that it’s very hard to reconfigure the hotspots upon which Dahlia’s app acts, so you must trust that a pet, child, or housekeeper will not jostle the phone, even a little bit. Moving the phone even a fraction of an inch will completely ruin your setup and the system won’t work. If you want to use Dahlia in multiple rooms, you’ll need multiple phones, and that’s an idea that starts to get a little crazy. The free version of the Dahlia Home app is also good for only one phone/room combination. You’ll pay $4.99 per month if you want to upgrade, at which point you'll be limited to a maximum of five rooms.